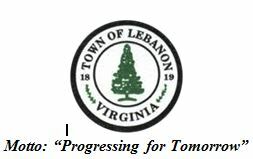 The Town of Lebanon Water Laboratory is now accepting drinking water samples to undergo bacteriological analysis. The analysis will indicate presence or absence of Coliform and/or E. Coli Bacteria in drinking water. The container and application for samples can be obtained and returned to the Lebanon Town Hall. The cost of the analysis is $28.00, which is due at the time of obtaining the sample kit (container, application, and instructions on proper sample collection). Samples can be received at the Lebanon Town Hall on Monday thru Thursday between the hours of 8:30 a.m. to 2:00 p.m. Please direct any questions regarding testing or supplies to the laboratory at (276)889-7206.